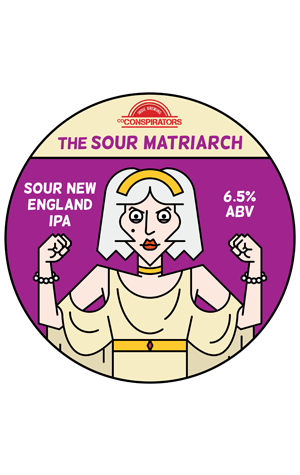 Of all the characters associated with CoConspirator’s beers, The Matriarch has surely become the best known. It’s scored the brewing company a spot in the GABS Hottest 100 two years in a row and the beer has found plenty of supporters among those who love their IPAs hazy and juicy. First brewed for Hop Quest 2019 at Beer DeLuxe, The Sour Matriarch – as the name suggests – is a sour twist on the hazy IPA (welcome to 2019, craft beer traditionalists), that shares its base with The Matriarch then adds a tangy of tang to the juice bomb. Like the original, it still pours opaque with a smooth mouthfeel and those fruity citrus and pineapple characters are all present, though the tropical flavours present as a little riper than in the original. As for the sourness, it’s certainly no lip-puckering beer and instead one with a slight and refreshing tartness.